PARIS (AP) — A provocative Russian performance artist is on trial for setting fire to an office of France’s central bank. Pyotr Pavlensky defied court procedures as the trial opened Thursday in Paris, prompting a row with the translator, who left. Pavlensky is accused of vandalizing state heritage over the 2017 fire, which caused minor damage to the bank facade. He said it aimed at denouncing the “tyranny” of bankers. He could face up to 10 years in prison and fines if convicted. 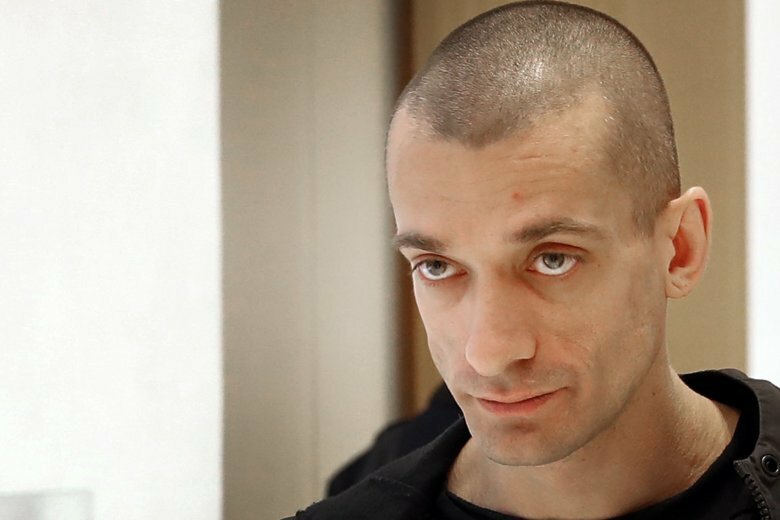 Pavlensky, who had sought political asylum in France before the bank fire, spent 11 months in pre-trial detention. He was previously jailed for six months in Russia after setting a similar fire in front of the federal security agency. Earlier, he nailed his scrotum to Moscow’s Red Square in what he said was a metaphor for Russian political apathy.